This is a round Chevron Supreme Gasoline porcelain sign. This particular Chevron Supreme Gasoline sign is predominantly white with red and blue text. 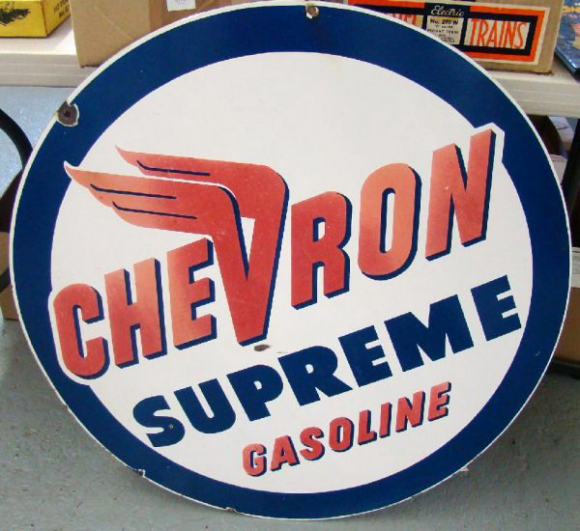 It reads, “Chevron Supreme Gasoline” and features wings on the “V” in Chevron.